Krishnagiri, also known as the city of mangoes is the municipal headquarters of the district Krishnagiri in Tamil Nadu. The area was ruled by King Krishna Deva Raya for many years. So, it is believed that the name Krishnagiri is derived from the King’s name. On 9th February, 2004 the district of Krishnagiri was formed being separated from Dharmapuri district with five taluks and ten blocks. E-Governance in revenue and social welfare departments under the National e-Governance Project was first introduced in Krishnagiri on pilot basis in Tamil Nadu. From time to time, the administration of Krishnagiri district has been providing efficient and effective services to its citizens. 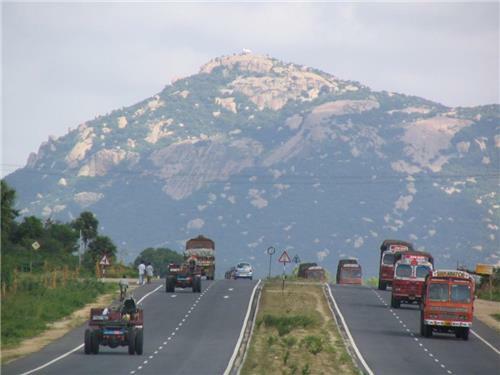 Krishnagiri District being mountain terrain is mainly covered with hills, valleys and hillocks. This beautiful small city is a popular tourist spot in south India and is famous for its scenic beauty and innovative agricultural practices. It covers an area of around 5143 kilometers. On the east side, it is bordered by the districts of Vellore and Thiruvannamalai, on the west side is the state of Karnataka. On its North side, the State of Andhra Pradesh and to it south lies the district of Dharmapuri. Krishnagiri lies between 11° 12’ N latitudes to 12° 49’E. On longitudes, it falls between 77° 27’E to 78° 38’E. Its altitude is around 300m to 1400m above the sea level. Being a mountainous terrain, the east side of the district has tropical climate as compared to the cold climate in the western part. The district of Krishnagiri is currently headed by collector T.P.Rajesh. He took charge as the 7th collector of the district on 15th December, 2012. Krishnagiri is divided into two administrative divisions for the purpose of revenue. The divisions are controlled by the Revenue Divisional Officer and the Taluks are administered by the Tahsildar. The administration of the Panchayats concentrates for the development of the rural areas. The Tamil Nadu Agricultural University’s Regional Agricultural Research Center situated in Kaveripattanam, help farmers to adopt modern techniques of farming to increase their production. 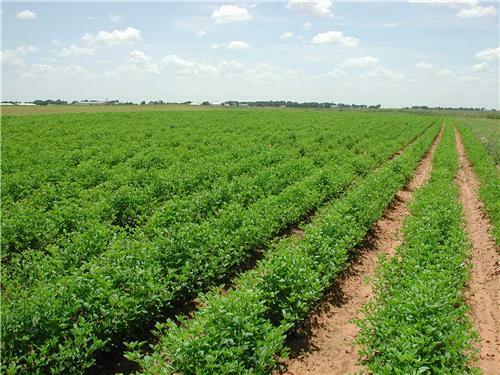 They have been helping farmer since 1973 by developing hybrid seeds that produce high quality crops.Mango being the main crop, it is cultivated in 30,017 hectares. 39% of total land in Krishnagiri district is covered with forests. The produce from the forests include honey, bamboo and tamarind. These forestry produce are found mostly in Anchetty, Berigai, Denkanikotta and Thally. These activities have given employment to many people living in the rural areas. 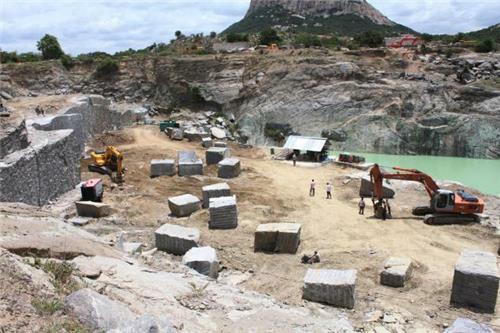 Under the Tamil Nadu Minor Mineral Concession Rules 1959, quarries are granted on lease for granite, earth quarry and rough stone. Granite is granted on Patta lands and earth quarry and rough stone lease in granted on both government and patta lands. The mining activities have given employment to around 7,000 workers in Krishnagiri district. Sand quarry is being operated on riverbeds by Public works Department (WRO wing). Tamil Nadu Metals and Mineral Ltd a state owned corporation is earning quarry / Mining grants in the lands owned by the Government. 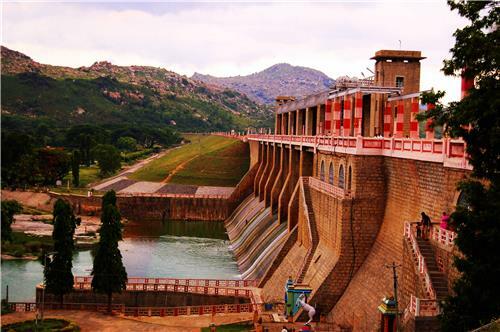 (KRP) Krishnagiri Reservoir Project Dam on river Thenpennai, 7 kms away from Krishnagiri. Thali 25 kms from Hosur, this place is known as Little England for its cool climate and beautiful hills, valleys and cliffs. Rajaji Memorial in Thorapalli displays the belongings and photo gallery of Rajaji, the great freedom fighter. Rayakottah the historic hill fort that has seen many wars in British era is the major tourist attraction. Krishangiri can be easily reached by train, air or bus. The nearest airport for Krishnagiri is Bengaluru which is around three hours drive. It can also be reached from Hyderabad and Chennai airports. The new bus stand built on the outskirts of Krishnagiri is well connected by road to all the major cities in India. Buses can be taken from Bengaluru, Chennai, Hyderabad, Pune, Vishakapatnam, Nagpur and also from cities like Mumbai, Raipur, Bhopal, Aurangabad and others.Both Government buses and private carriers run buses regularly from Krishnagiri.